A collection of phrasebooks to learn Russian: These conversation guides are designed to help you learn useful phrases. If you still don't speak any Russian, you can begin with this. And even if you're not a beginner, you'll still learn something new. 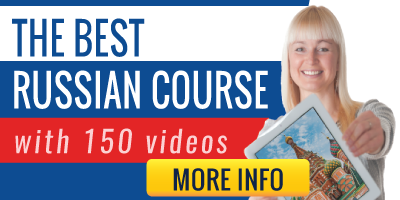 Russian phrasebook: The perfect place to learn your first phrases in Russian or to prepare your visit to Russia. Here you can read and listen to every basic phrase you should know. Russian for adoptive parents: More than 300 words and sentences with recordings. A perfect section for parents who have a adopted a child from Russia, Ukraine, Belarus or any other Russian speaking country. Love phrases: You can find love in Moscow, Kiev, Ekaterinburg,... How to say I love you in Russian? Learn here this and much more. This is a perfect section for those wanting to express their feelings in Russian.